3 Bedroom Semi Detached House For Sale in Truro for Offers in the region of £260,000. AVAILABLE AGAIN AS OF 15/03 - NOW CHAIN FREE We are please to be able to offer this wonderful three bedroom property with fabulous views to the rear and offered with NO UPWARD CHAIN. The property is approximatley three years old with remaining NHBC warrenty. The property is situated in a prime location for all local ammenties which includes schools, shops and the hospital it is also a short distance from the property itself. 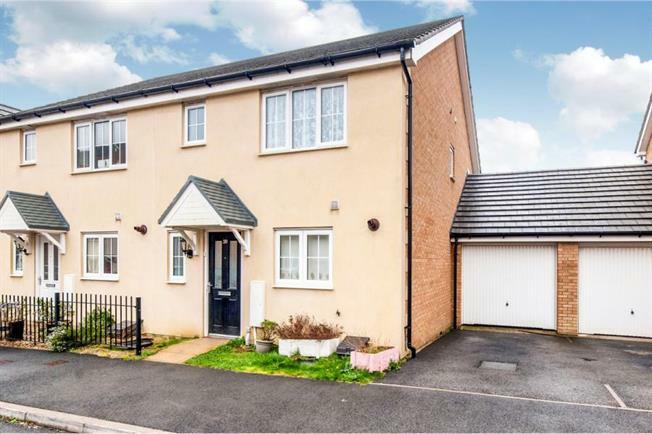 This property has a modern open plan living space to the ground floor with a fully fitted kitchen to include fridge freezer, cooker and dishwasher. To the first floor are three bedrooms, family bathroom and ensuite. The property also benefits from a single garage with driveway. The property is now lived in. Book your viewing today.